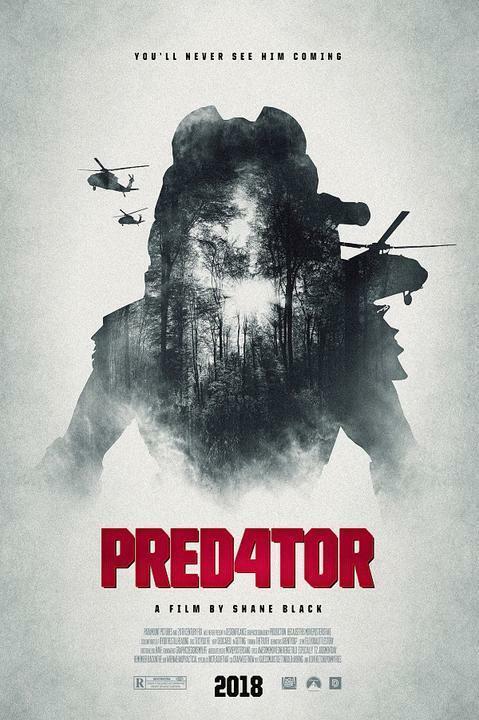 Brief Synopsis – After being attacked by a Predator, a US soldier manages to acquire some of the alien’s weapons and sends them to his young son for safekeeping which causes many more problems. My Take on it – I am a big fan of the original Predator (1987) film, but was never that enamored with any of the sequels. This film doesn’t come anywhere close to being as good as the original, but it is definitely the best of the sequels. They manage to keep things fun throughout largely due to the very eclectic cast of supporting characters who are each unique in their skills and their personalities which adds much to the enjoyment of this film. The special effects are presented really well and I liked the way that they are able to include more advanced weapons and technology than they showed in any of the previous films. They are able to find interesting and intriguing ways to keep the “playing field” as even as possible between the two sides despite the obvious technology advantages of the aliens. It was nice to see that the characters are not merely cannon fodder from the start since this adds to the thrills of the way things play out as these characters fight for their lives. This isn’t a film that will win any awards but it still is quiet enjoyable for what it is meant to do. Bottom Line – Fun Predator flick that doesn’t manage to top the original with Arne, but it still is quite an enjoyable action adventure film. The cast is pretty good and I loved the way that they create the various supporting characters in ways that one wouldn’t normally expect. The special effects are great and they allow us to see even more improved technology than previously. They find interesting ways to try and keep the playing field balanced between the alien and those fighting for their lives and it’s nice to see that they aren’t all just branded “cannon fodder” from the start. Not a film that will win awards but entertaining nevertheless.